The drug is called anastrozole, and it's already used to fight recurrence in those who've suffered from the disease before. However, as ABC News reports, a team of researchers in the U.K. decided to see whether it could be used preventatively. And in a study of 3,800 women with a family history of the disease, the drug reduced incidence by 53 percent. That's more than drugs currently used for the same purpose, like tamoxifen and raloxifene. What's more, the side effects observed were less severe. Hot flashes and joint pain aren't pleasant, but they're comparatively less horrible than blood clots, for instance. "The biggest surprise of our study was that the side effects were less than expected," said the lead researcher. But despite the ubiquitous awareness-raising efforts, women might not flock to the pill immediately. 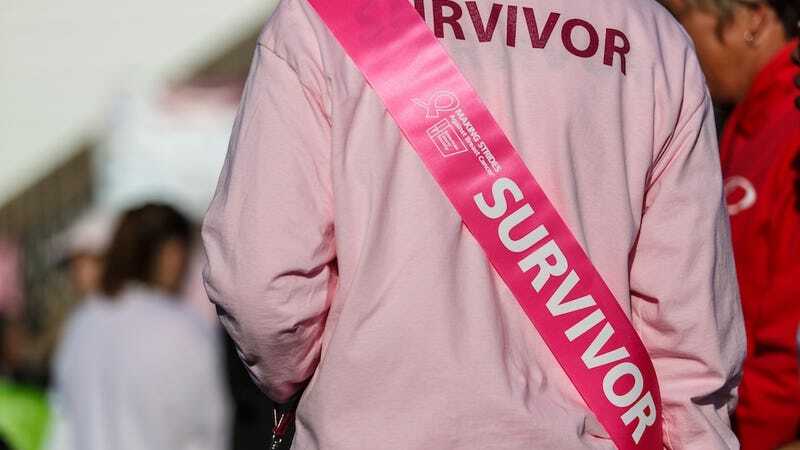 An oncologist at MD Anderson told ABC News that, "Asking women to take a daily pill to prevent breast cancer is a hard sell, particularly when there is an undertow of other concerns that arise with taking the pill."